Hansa was founded in 1905 to build light cars. 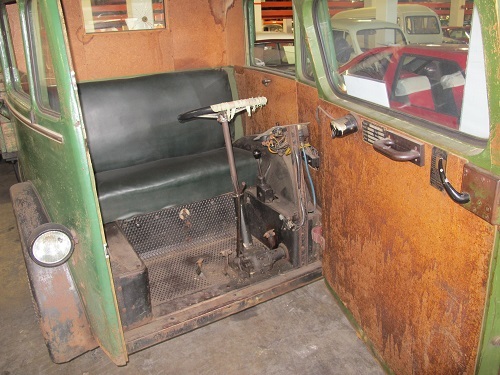 The company merged with Lloyd in 1914 and built commercial vehicles. Carl Borgward became involved with cars and commercial vehicles in the 1920s and merged with Hansa-Lloyd in 1929. 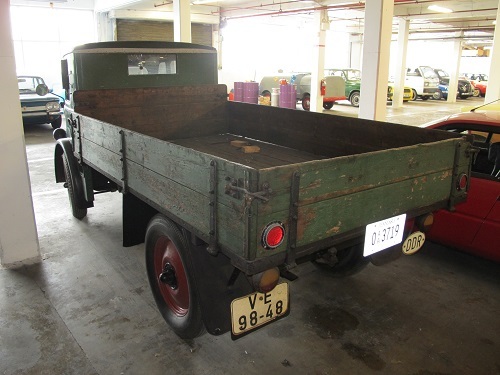 The company, known as Goliath-Werke, specialized in three-wheeled cars and small delivery trucks. Goliath vehicles were produced in Bremen, Germany, and filled the need between the top-of-the-line Borgwards and the entry level Lloyd. Until 1933, owners of 3-wheeled vehicles in Germany were exempt from annual tax and from the requirement of having a driving license. 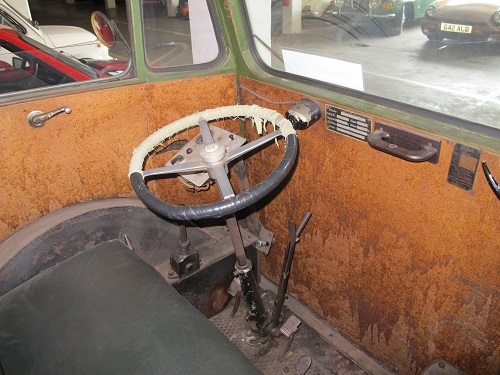 These tax concessions were abolished by Hitler in 1933, and 3-wheeled vehicles could no longer be produced. 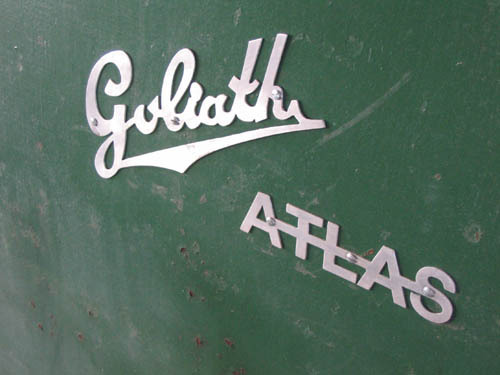 Here you see an early example of a 4-wheeled Goliath Atlas. 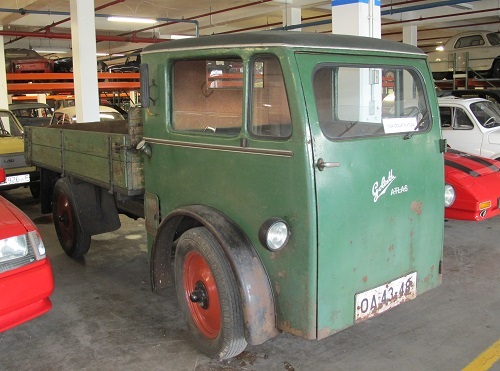 Goliath-Werke continued until 1959.